Download the Pregnancy Coach App on to your supported device. 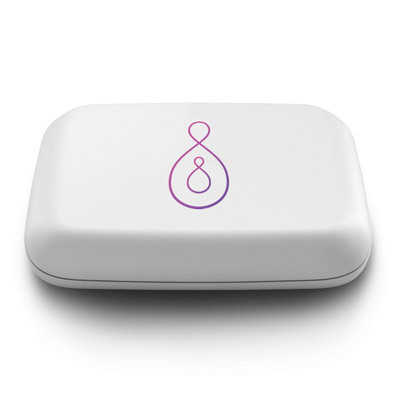 Once the app is installed, plug the Pregnancy Coach Sensor into the charger to turn it on, open the app and follow the onscreen instructions. Compatible with iPhone 5s and newer and iPad Air and newer. (iOS 9+). Compatible with Android phones and tablets running Android 5.0 or later. 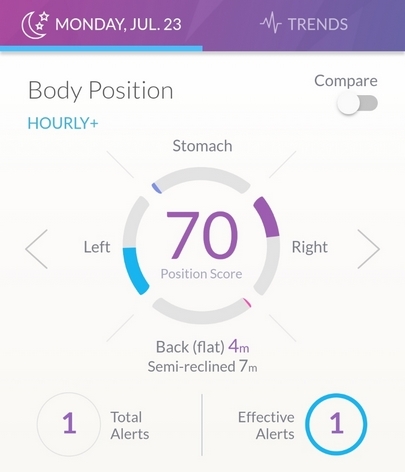 Customizable Alerts – Customizable alert settings allow you to get restful sleep while ensuring you maintain a healthy body position all night long. 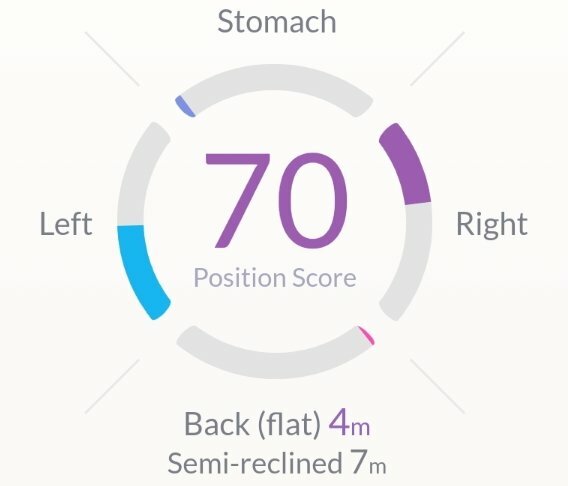 Position Health Score — Our patented system assigns a health score to each position based on its potential risk of blood flow occlusion. It also takes into consideration how far along you are into your pregnancy. 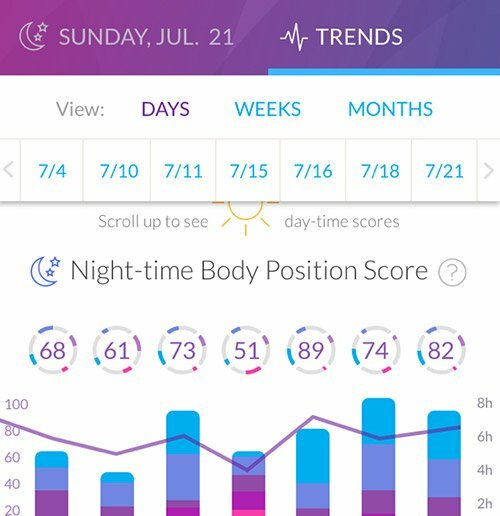 Sleep Quality Information — See detailed break-downs of your sleep phases such as Deep, Light and Restless sleep. Compare to Averages — Easily compare any night's sleep information to 7-day or 30-day averages. 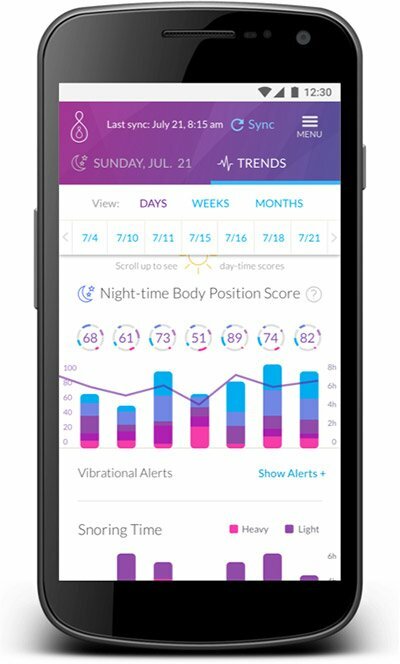 Nightly / Weekly Reports — Review sleep position, vibrational alerts and sleep quality trends over days, weeks or months. Current Position Display (Live Data) — Track your position in realtime. 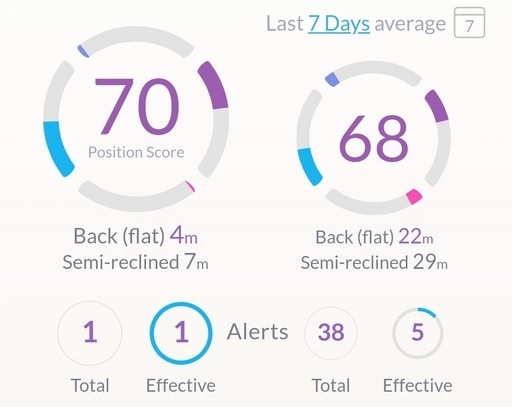 See how different positions affect your position health score. Our wearable sensor is small and lightweight. It gently vibrates when you roll onto your back during sleep. 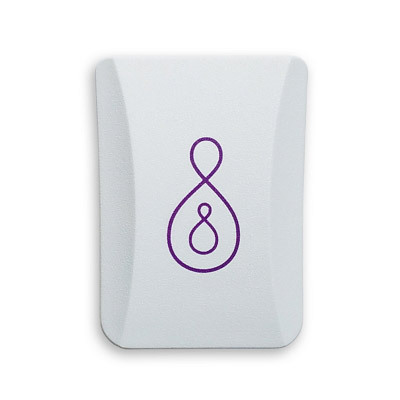 The magnetic clip is used to clip the Pregnancy Coach sensor to your clothing. Our compact USB charger is safety-certified for North America, the UK, Europe, Australia/NZ and many other countries. The interchangeable country-specific power plug attaches to the USB Charger. Our European box includes both the UK and the Euro plugs. 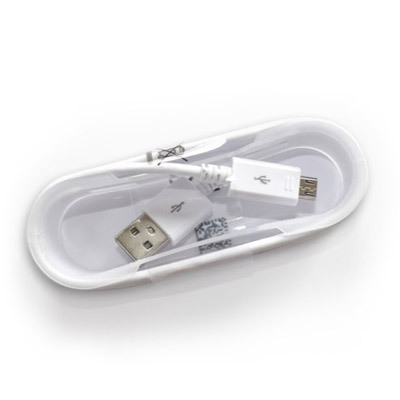 1.5m (5ft) USB to Micro USB cable is used to charge the sensor. There are little ridges on the cable tip to help you find the right side in the dark. Please refer to the included Instructions for Use for important safety guidelines. Place sensor on form fitting shirt within the highlighted zone for highest accuracy of reported sleep position. Before putting on the sensor, turn it upside down to confirm it is on. The magnetic clip goes behind the shirt in any orientation. 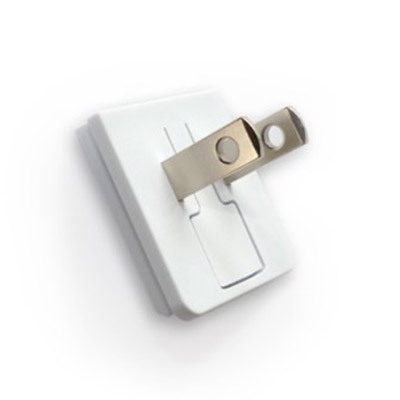 The sensor must be worn with the logo as shown. There is also a small ridge at the top of the sensor to help you position it correctly in the dark. If the sensor is attached to a loose shirt, it can inadvertently fall into a back position causing it to issue vibrational alerts. In the Pregnancy Coach App, tap on Menu and then Vibration Settings. Here you can configure how vibrational alerts should be issued separately during the day and at night. You can also vary the starting vibration strength (vibrational alerts gradually increase in strength and duration until you turn away from the back position). 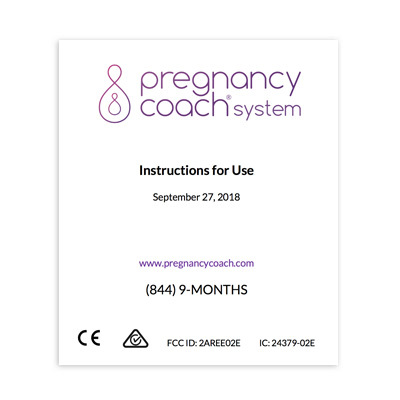 It's very important to frequently check the Dashboard (the main screen) in the Pregnancy Coach app to be sure the app is syncing with the sensor. Important alerts based on last night's sleep data from the sensor are also shown at the top of this screen. In the Trends tab, you can also see how your position and sleep quality is changing over days, weeks or months. 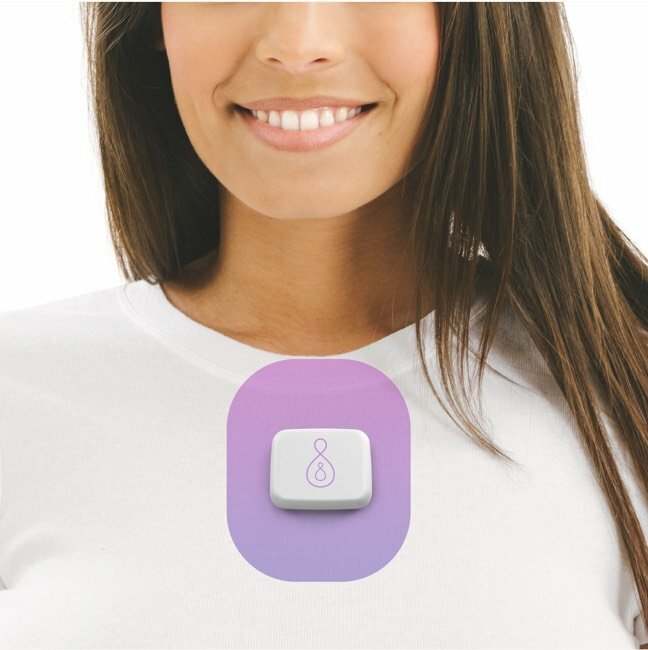 The Pregnancy Coach Sensor should be worn as much as possible during the night. It can also be worn during the day for users who spend a lot of time in bed or couches where they might frequently recline. Always put the sensor on a tight fitting garment in the area shown. If it’s loose or placed elsewhere, the sensor may not identify your body position correctly. As an alternative to clipping the sensor to a form-fitting shirt, you can attach it in the same area of your chest using our adhesive patches. 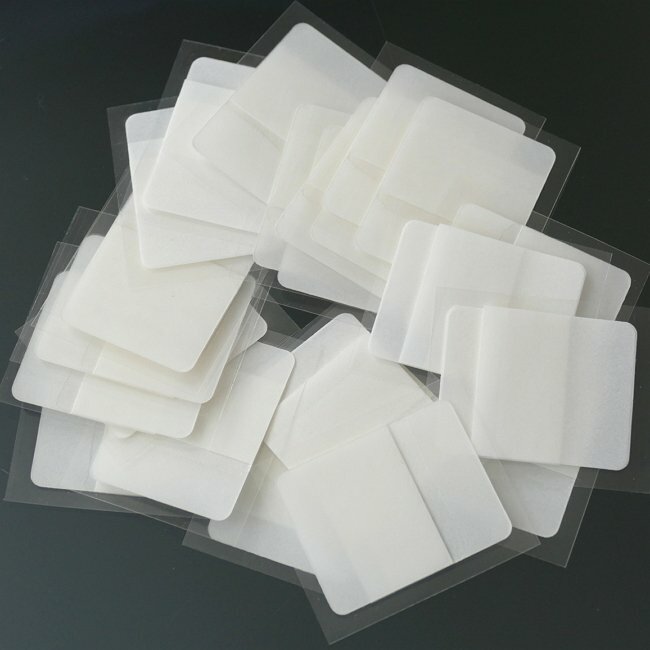 Our medical-grade silicone adhesive patches are easy to apply and leave no residue. First remove the paper flaps and apply the patch to the back of the sensor. Then remove the clear plastic layer and press the sensor to lotion-free skin for 10 seconds. You should try to charge the sensor for at least 30 minutes every day. There is no danger in over-charging the sensor so it may be left connected to a charger when not in use. Whenever the sensor is not being worn, it is best to leave it plugged into the charger. 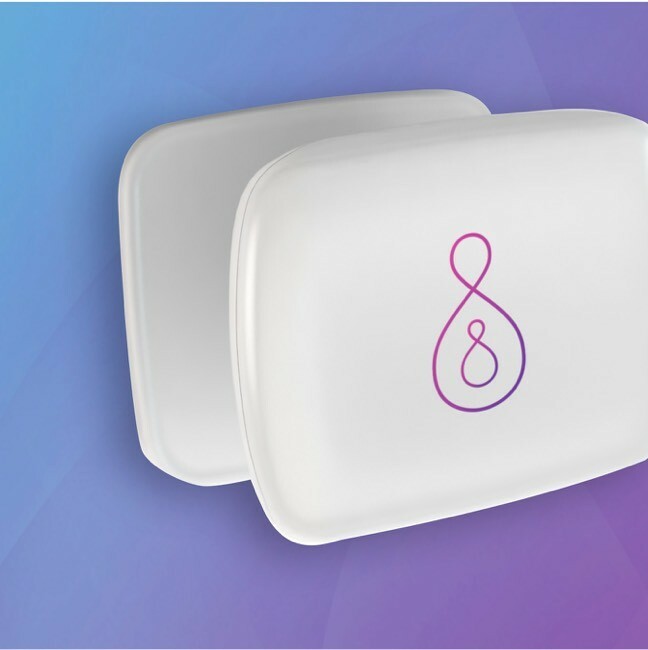 Compatible with 64-bit iOS 9 and newer devices, and Android devices running 5.0 or newer with Bluetooth Low Energy (BLE). 3.7V Li-ion (non-removable). 5 days of typical use on a single charge. 1-2 hours charging time with a 5V 5W USB charger. Rechargeable (up to 500 times or for 1000 days of typical use before reduction in capacity). Up to eight weeks of local activity data storage. Lifetime activity data storage in the cloud. 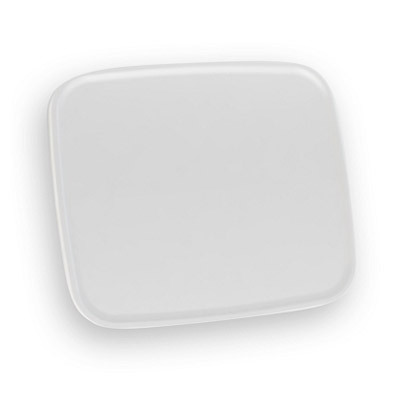 Biocompatible plastic - 28g (1oz) (35g (1.25oz) with magnetic clip). 1.75" x 1.5" x 0.38" (4.3 cm x 3.6 cm x 1.0 cm).